What an incredible year Cristiano Ronaldo has had! He Won the Champions League, captained Portugal to the Euro 2016 title, took the Ballon d’Or trophy home and then capped it all off with a hattrick in the World Club final. 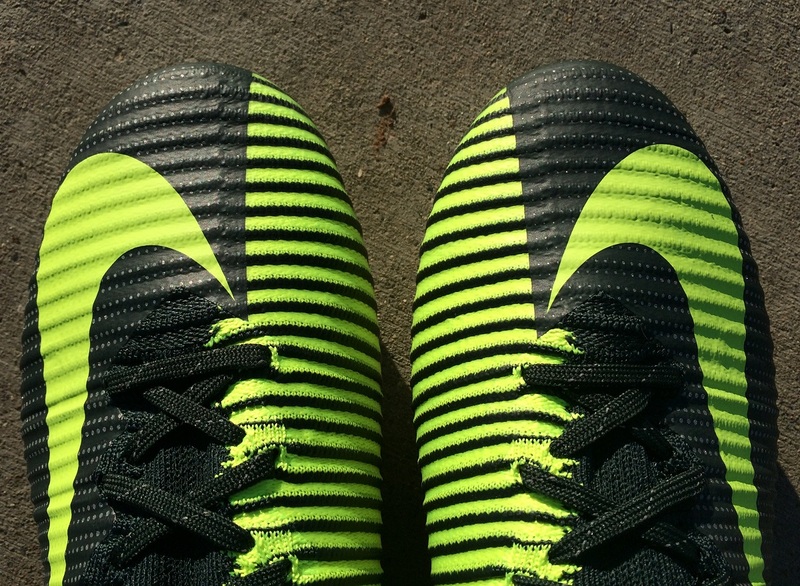 Now seems like an ideal time to take a close up look at his current signature boots; the Mercurial Superfly CR Chapter 3. CR7 Chapter 3: Discovery, intended to celebrate the story of Cristiano Ronaldo, focusing on how he made such an impressive impression on one of the World’s greatest ever managers, that he signed him within a few weeks. On August 6th, 2003, at the age of 18, Cristiano Ronaldo played for Sporting Lisbon for the last time, against Manchester United. He had 2 assists, leading to a 3-1 victory over the Red Devils. In the process, he showcased tremendous speed, technique, and potential. That performance left Man Utd with no choice but to sign him the next week! 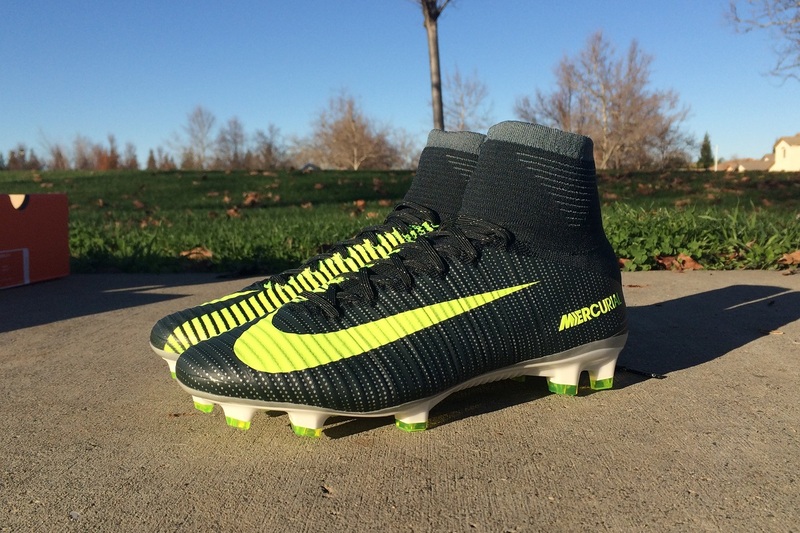 Design Notes – When it comes to design, the colors of the boots are inspired by the team he was playing for, Sporting Lisbon, amplified in a modern way. 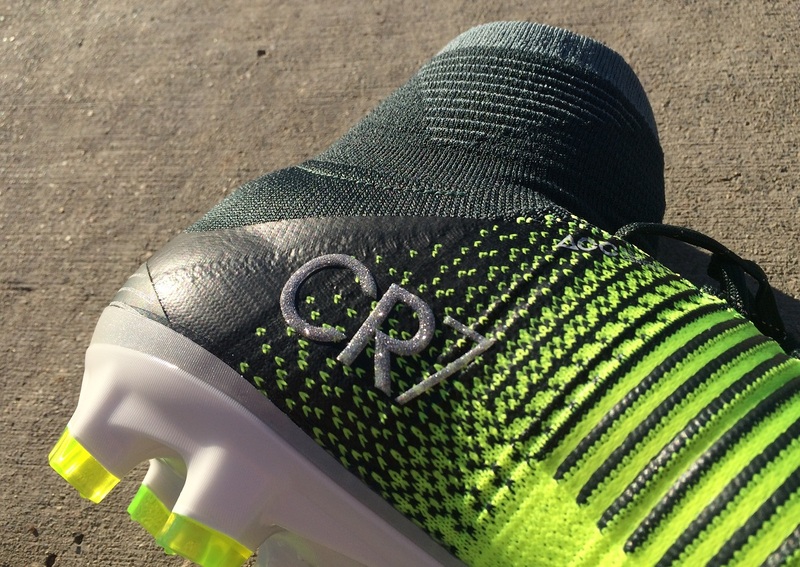 The mix of an almost Forest Green and a brighter Volt Green creates one of the more subtle styled boots we have seen released for CR7! 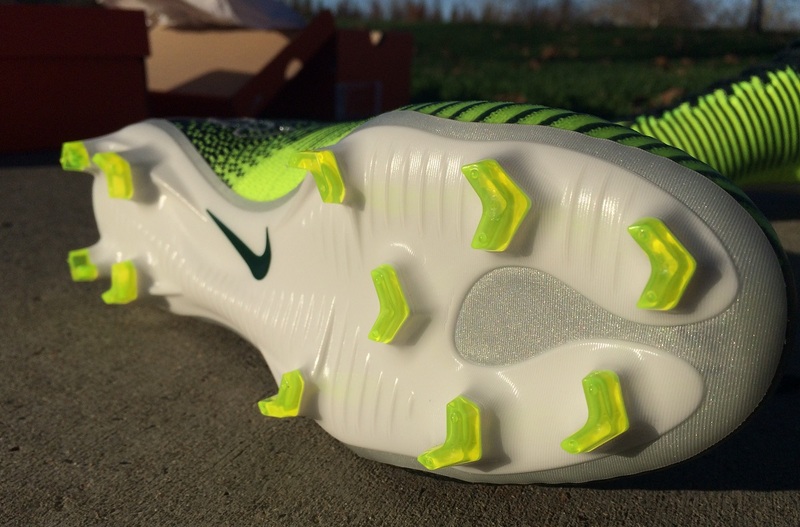 Officially, the colorway is labelled as Seaweed/Metallic Silver/Volt/Racing Green. 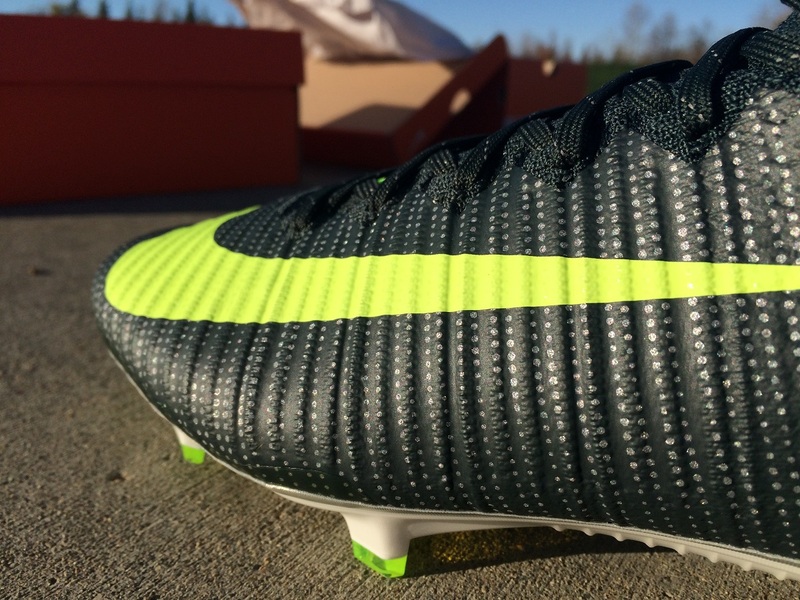 The lateral side features silver dot graphics, as well as a subtle reflective wave design as a nod to the Mercurial Vapor I boots he wore in 2003. The numbers 06, 08 and 03 (day, month, year) etched on the heel counter commemorate the date of his discovery, while a sparkling CR7 logo highlights the shining performance he delivered. When it catches the light, it really stands out. 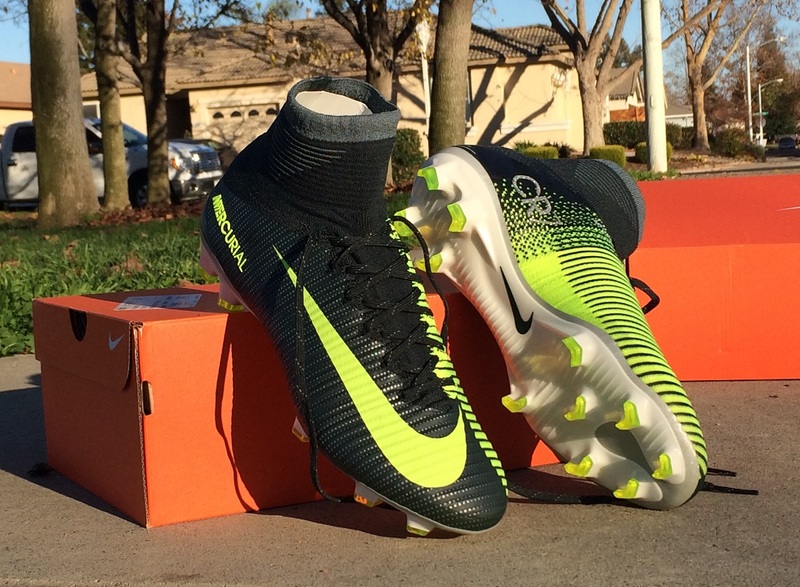 You can find Superfly Chapter3 currently available at soccer.com.